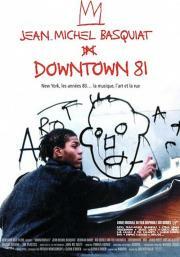 Exploration of NY downtown scene, featuring many music groups performing, through a loose fictional narrative, with Jean-Michel Basquiat as a kind of "tour guide." I enjoyed seeing the city in this time period. A weird and groovy film (made weirder and groovier by the overdubbing). There are some really exceptional musical performances in this film, all tied together with Basquiat's cool on-screen presence, littering the ears with all sorts of dope lines ("I'm an artist. When you tell people that they usually say, 'what's your medium?' I usually say, 'extra large"). A film of many flaws, but it gets all the important things right -- character, style, mood, scene, and ends with the perfect song.